Tenant in place until May 31st, 2019. 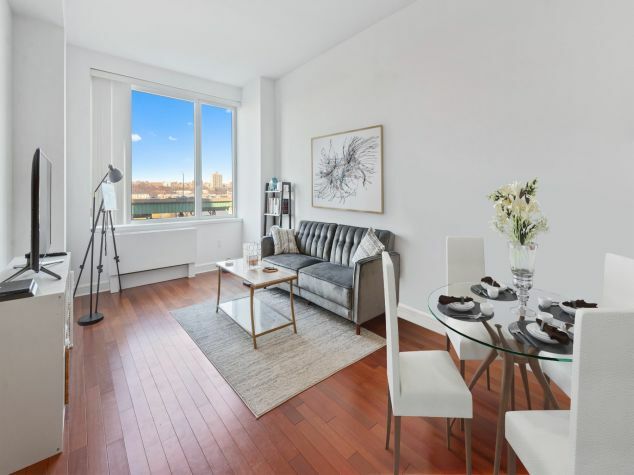 Located at 220 Riverside Boulevard, one of Manhattan's most desirable high-end residences, this expansive three-bedroom, three-bathroom corner unit is a truly deluxe home. 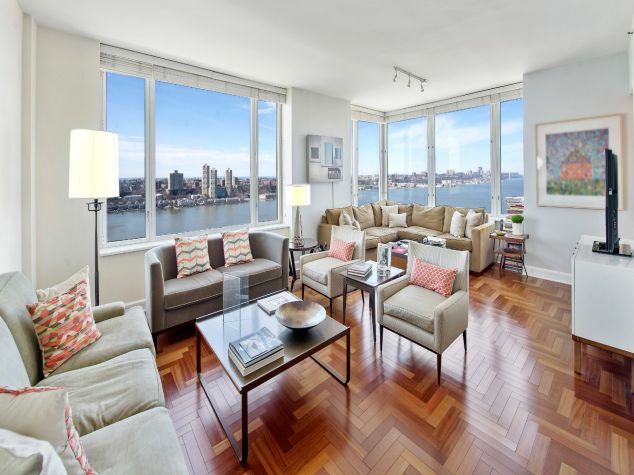 Gorgeous interiors include sleek hardwood flooring throughout and wide, wrap-around windows offering breathtaking Hudson River and city views from every room. The home's spacious main living room is the perfect setting for entertaining family and guests, while the adjacent separate dining room offers an excellent space for hosting dinner parties. The nearby windowed kitchen is equipped with state-of-the-art appliances and a sizable breakfast bar. All three bathrooms are beautifully designed and contain marble interiors. The en suite master bathroom boasts a brightly-lit double vanity, soaking tub, and separate shower. The master bedroom suite features large walk-in closet and can easily accommodate a king-sized bed. For your convenience, a washer/dryer is in unit. Residents of 220 Riverside enjoy all the hallmarks of New York luxury living, including full-time doorman and concierge service, a fitness center with spa, sauna, and indoor pool, a billiards room, a children's playroom, a relaxing interior garden, and a residents-only parking garage. 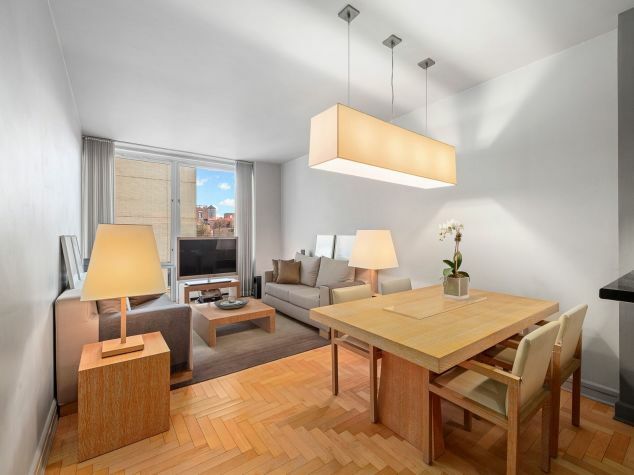 Best of all, 220 Riverside is in one of the city's most sought-after neighborhoods – just steps away from tons of great shops, restaurants, and cultural landmarks, including famed Lincoln Center. Assessment of $673.71 ending in June 2019.